The Steel Frame Cottage was designed and developed to ensure maximum use of floor space and headroom. 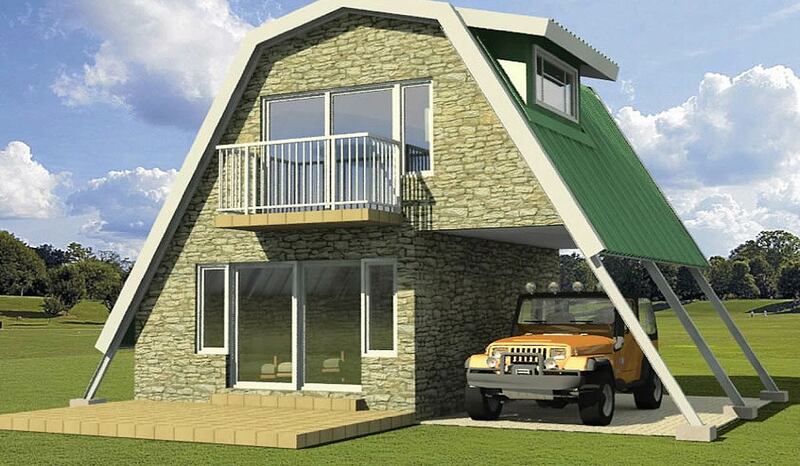 The cottage structure is designed in order to save on building costs, i.e. to minimise on labour intensive conventional methods and still achieve an aesthetic design. The saving on costs is achieved by the insulated steel structure incorporating roofing and roof windows which are primarily erected followed by the wet trade work.This structural work is achieved within five days from starting on site. 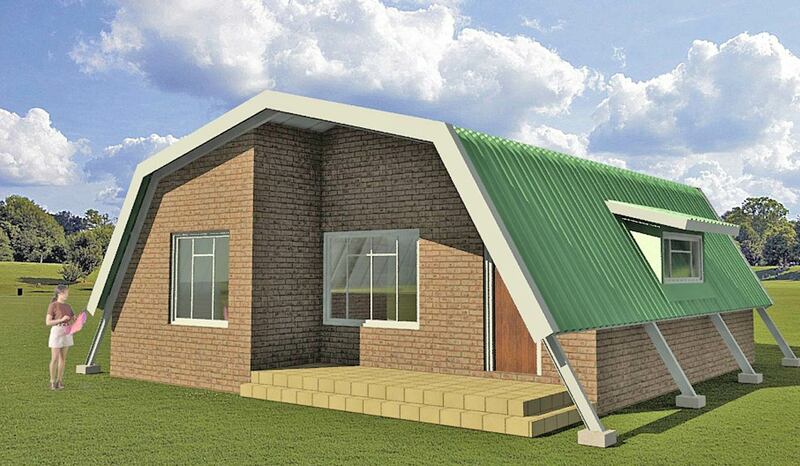 The follow-up work consists of under-roof brickwork (only 3800 bricks) to close up sides and gable ends. Additional windows and doors are built into the conventional brickwork according to Architect’s plan provided. All electrical work, plumbing and finishing are then completed in the normal conventional way. At the time of writing, building costs for the 52sq m project was reported to be approximately R 115 000.00 to R125,000.00 excluding our costs. Looking for something larger? See our Houses.